There is no doubt that many people want to download private YouTube videos easily. Though only users who uploaded video can download it, there exist some people who would like to save their friends’ videos. This article will show you the truth about downloading private videos. Do You Want to Download Private Videos? Q: How can I download private protection YouTube videos? A: First of all, you have to know that you can only download your own private videos. “Hey! There is a YouTube private video downloader can help you to download private videos”. In fact, some people who said the video downloader can download private videos are cheating on you! In this article, I will guide you on how to download private videos! Let’s start! WonderFox Free HD Video Converter Factory is the best and the most excellent YouTube video downloader that I highly recommended. 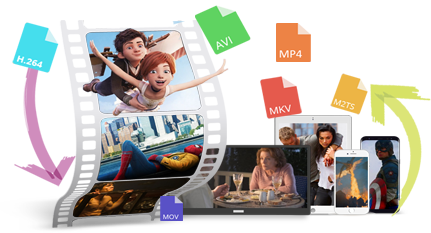 It not only helps you to download unlisted and public videos from YouTube, but also converts these videos to other formats, such as MP4, MP3, AVI, MKV, M4A, etc. Download it! 1. “I want to download private videos for myself”. You can download them without YouTube private video downloader. Just find your private video in your personal account and download them. 2. “I want to download private videos of my friends”. If someone says that the private YouTube video downloader can download someone else's private video. This is a scam that might try to sell your information or show you ads. Firstly, you need to visit the website: https://www.youtube.com/ Then, you need to log into your account. 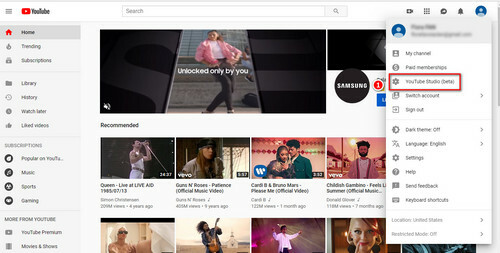 Find the third line, click “YouTube Studio”. After that, you get the page “Dashboard”. Next, you need to change it into “Videos” icon. A list of channel videos will appear. You can select the videos you want to download. You can then right click and it will show you the options. You can see “Download” icon. Then click on it and the video will start downloading. WonderFox Free HD Video Converter Factory is the best tool for you to download YouTube videos, download PBS videos, or download Facebook videos and so on. In addition, it can download other videos on the website, such as Hulu, Leak, Dailymotion, etc. as well as edit your downloaded YouTube videos like merge multiple videos into one, cut video clips, etc. 1. Public: Just as its name implies, all of the people can watch your videos. Some people who watch it without an account is no problem. 2. Unlisted: This video can be shared by anyone. It can generate a URL automatically. As long as you have this URL, you can share it with your friends or others. In addition, the number of people sharing is limited. 3. Private: This video is secret. It cannot be watched except yourself. But, if you want to share some rare private videos to your friends, you need to invite them; the video can be viewed as long as the owner permits. 4. Scheduled: This video will be published according to the time you set. Understanding the differences of private vs unlisted vs public vs scheduled of YouTube videos, you can choose your private videos to view. 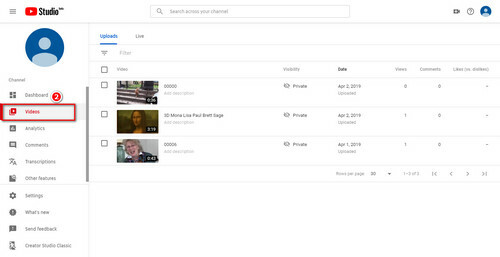 Simply find your YouTube channel and click on the video to see a private video list on your page. How to watch private YouTube videos is generally known among YouTube users. Therefore, I will never give unnecessary details about it. WonderFox HD Video Converter Factory Pro is an extremely useful tool for downloading videos and songs from YouTube, Facebook, Leak, and other sites. It can also provide 300+ output formats and devices. Don’t hesitate, download it! How to Download YouTube Video with IDM? How to Download YouTube Videos on Android? Download YouTube Audiobooks with 2 Simple Methods?